A comparison of two of the social networking players is always amazing, especially when one has already declined a huge acquisition offer from the other. Yes, this comparison is about Snapchat and Facebook. 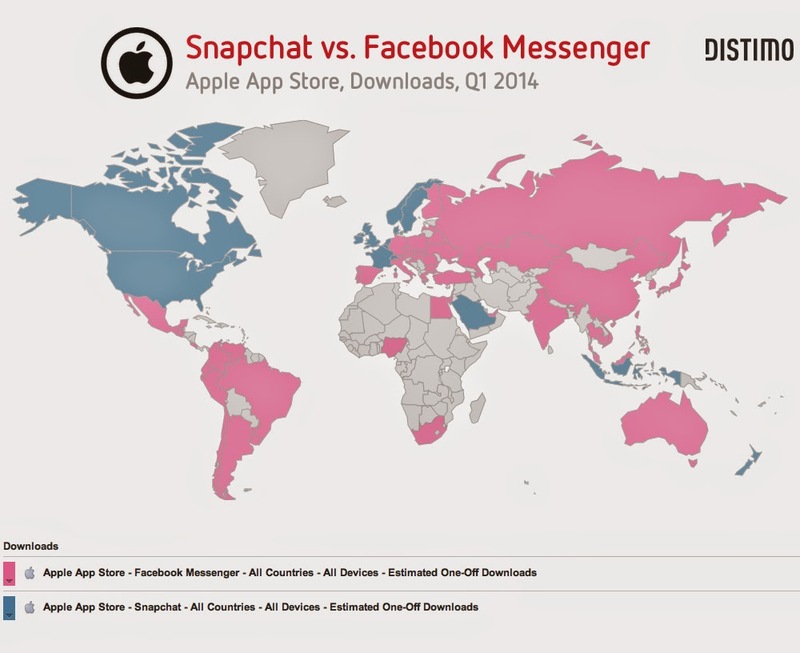 The following infographic and the app download chart, created by the MD of DPFOC, Canada & US and DISTIMO respecticvely, shed some interesting light upon the similarities and the biggest differences these two platforms possess. I call this comparison uneven because of the difference in user demographics, nature of content concerned and the privacy factors involved. In such battles, users are the supposed to be the ultimate winners. But with the privacy and selling off data issues around the corner, winning poistion has become nothing more than a perception.